The Living Future Institute of Australia has had the privilege of working with a number of progressive organisations and some very dedicated individuals, without whom this design competition would not have been possible. We would like to share a bit about them and thank them here. Frasers Property Australia creates real places for real people. As an international company with a proven track record of 90 years in Australia, Frasers Property understand the human side of property, making a real difference to peoples’ lives and caring deeply about how they will benefit. Frasers Property’s strength and experience is to champion real-world solutions, opening up new possibilities through innovative thinking as well as tackling important sustainability issues. Frasers Property are committed to delivering real value every time with a service that focuses on making things simpler and easier for real people. Solgen Energy is a leading commercial solar engineering, procurement and construction (EPC) group. The EPC group of companies provides a horizontally integrated approach to the commercial solar market – whether clients want to buy a solar system outright or simply pay for the solar electricity produced. With unrivalled experience in the design and construction of commercial-scale solar electric systems for government and businesses across Australia, Solgen Energy has completed many of Australia’s most iconic solar projects. One of the leading advisory companies in Australia, McLachlan Lister/Hill International provides a full spectrum of project consulting services including management consulting, program management, project management, troubled project turnaround, staff augmentation, and construction claims consulting. Pioneers of innovative and practical solutions, we believe in working with integrity, responding to challenges with creativity, and always seeking the best result for our clients across social, financial and environmental objectives. With offices in Sydney, Brisbane, Melbourne and Perth and the ability to draw on the global Hill International network, our clients can rapidly access qualified, specialist staff with international experience to meet any project challenge. Interface is Australia’s leading manufacturer of modular carpet, producing locally for over 40 years. We are a truly global company with sales in 110 countries and manufacturing facilities on four continents. We stand for design and sustainability as a way of thinking on an organizational level across all aspects of our business and as an aesthetic credo for our products. Interface invests in understanding the specific demands of a wide range of commercial markets, innovating and designing products to meet their needs. Our vision is to create beautiful, modern, functional spaces that provide engaging and inspiring work place for the employees while giving the designers a fresh perspective and incredible creative license. The Sustainable Buildings Research Centre building is a 6 Star Green Star- Education Design v1 accredited, multi-disciplinary facility that hosts a wide range of research and industry collaborations to address the challenges of making buildings sustainable. Located at the University of Wollongong’s Innovation Campus, this beautiful new centre is alive with student research as a Living Laboratory and thrives on collaboration with industry. The building was designed and constructed based on the principles of the Living Building Challenge, pushing the boundaries of sustainable design and construction with hopes to inspire communities throughout Australia to take action on sustainability. QPS Geothermal are the first choice for geothermal solutions, with experience in completing a large number of highly complex and detailed ground works projects. With a high level requirement for quality and precision of works, QPS has developed an operational capacity that focuses heavily on quality and project delivery, with a keen understanding of critical path requirements and have a focus on achievement of programme. 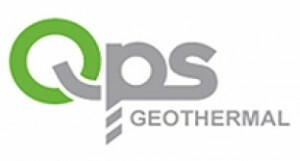 QPS Geothermal is the only company operating in the Australian market that self fulfills all installation works ensuring complete quality control and delivery of high quality outcomes. Onyx Solar develops BiPV (Building Integrated Photovoltaic) solutions – aka. Transparent Solar Glass – which offers the possibility to replace conventional construction materials and add photovoltaic properties to the buildings envelope (skylights, facades, windows, curtain walls, roofs) creating active and passive elements that allow the building to generate free and clean electricity from the sun. Counting on cutting-edge solutions from a flexible, customized and aesthetic point of view easing the integration of active and sustainable constructive materials into any project. Good Environmental Choice Australia (GECA) runs Australia’s only independent, not-for-profit, multi-sector ecolabelling program and is the only Australian member of the Global Ecolabelling Network (GEN). Our transparent certification program develops standards against which products and services can be independently audited according to criteria for environmental, health and social impacts. The GECA ecolabel shows that a product or service has been rigorously assessed for its impact over its life cycle and it is safer for you and your family or colleagues. We’ve provided procurement managers, architects, building industry professionals and consumers with an independent, reliable and credible way to make better purchasing decisions since 2000. Schueco is a total systems solutions provider, supplying Australia’s most comprehensive range of German engineered, highly insulated, premium quality aluminium systems for the whole building envelope. Together with its worldwide network of partners, architects, specifiers and investors, Schueco creates sustainable building envelopes that focus on people and their needs in harmony with nature and technology. Aluminium window, door and façade solutions from Schueco meet the highest requirements in terms of design, comfort and security. At the same time, CO2 emissions are reduced through energy efficiency, thereby conserving natural resources. Considered one of the most influential individuals in the green building movement today and the recipient of the prestigious Buckminster Fuller Prize, Jason F. McLennan’s work has made a pivotal impact on the shape and direction of green building. McLennan serves as President and Chair of the International Living Future Institute – a leading NGO that focuses on the transformation to a world that is socially just, culturally rich and ecologically restorative. 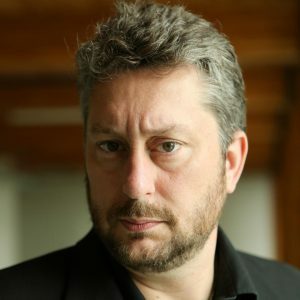 An Ashoka Fellow, Jason is the founder and creator of the Living Building Challenge, widely considered the world’s most progressive and stringent green building program. He is the author of five books; The Philosophy of Sustainable Design, The Dumb Architect’s Guide to Glazing Selection, The Ecological Engineer, Zugunruhe and Transformational Thought. Peri has been involved in the property industry for 20 years. 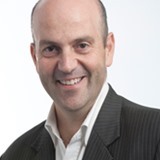 Specialising in the retail property industry, Peri has held senior positions at Coles Myer Ltd where he was National Property Manager for the Apparel Group; and Macquarie Bank Ltd as the Portfolio Manager for the Macquarie CountryWide Trust, responsible for asset and development management across the Australian, New Zealand and USA property portfolios. Peri joined Frasers Property Australia in April 2008 to head up the recently established retail division. He has substantial broad industry experience in development and investment management, planning, property funds management and finance. Key projects Peri has been involved in include: Acquisition, development and management of over $1 Billion of new and redeveloped neighbourhood and sub-regional shopping centres across Australia. 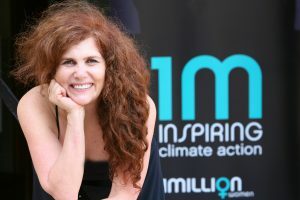 Natalie Isaacs is the founder and CEO of 1 Million Women, the movement of women and girls who take practical action to fight dangerous climate change by changing the way they live. Natalie, a former cosmetics manufacturer, realised that individual action is key to solving the climate crisis. Deciding to leave behind the over-packaged world of skin and beauty care, she set out to create an organisation that inspires and empowers women to act. Her own climate journey from apathy to real action cuts through complexity and delivers a simple message that resonates with women and girls of all ages. Daryl Browning was appointed Chief Executive Officer of ISPT in 2005 and is responsible for the overall management of ISPT’s business. He has more than 30 years of experience in the property investment and management sector, including financial services and funds management. 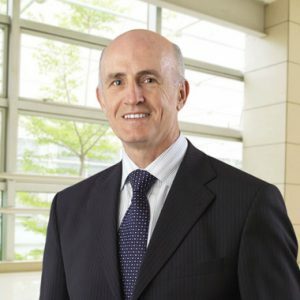 Daryl is a Member of the Victorian Advisory Board of the Property Industry Foundation, Director of the Chain Reaction Foundation and a current Division Councillor and past Divisional President of the Property Council of Australia (Victoria). 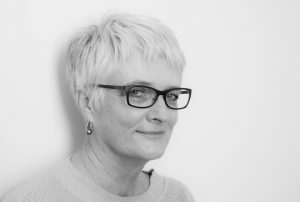 Kate Doyle is CEO of the Architects Accreditation Council of Australia, the owner of the National Standard of Competency for Architects which underpins accreditation of architectural education programs and all other assessment processes leading to registration as an architect in Australia. Kate has extensive experience working with educators, curators and communicators and has commissioned a range of innovative teaching packages for school students, public programs and events focused on design, architecture and the built environment. Telstra Property’s Executive Director, John Romano has worked for almost 30 years at Telstra in a variety of technology and executive management roles. John has been key in the planning and management of Telstra’s network property infrastructure, including the accountability for reducing Telstra’s carbon emissions, management of energy, maintenance and leasing aspects associated with Telstra’s network property infrastructure. 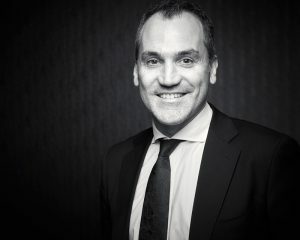 He currently leads the Telstra Property Group and is responsible for leading a national integrated and cost-effective network facilities and property strategy across Telstra. 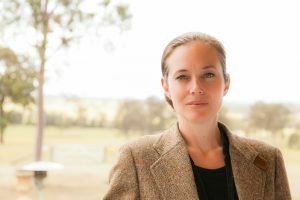 Architect Caroline Pidcock, is the passionate force behind PIDCOCK – Architecture + Sustainability, and a Board Director of the Living Future Institute of Australia. 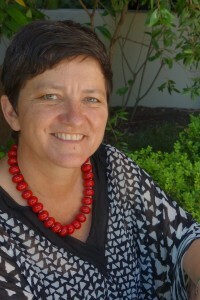 Her previous roles include President of the Australian Sustainable Built Environment Council, President NSW and National Councillor of the Royal Australian Institute of Architects, Industry Representative on the Australian Building Codes Board, Member of the NSW Architects Registration Board, Member of Greening Australia NSW, and adjunct professor/lecturer at a range of universities in NSW. In July 2011, Caroline was awarded the prestigious Marion Mahony Griffin Award by the Australian Institute of Architects in recognition of her contribution to architecture in NSW, and in 2014 she was recognised by the International Living Future Institute as a Living Building Hero. Scott has been involved in the Design, Property and Construction Industry for over 20 years with exposure to the design and design management of a variety of projects. Starting out in the Industry as an Architect, Scott has transitioned into Design Management and through his experience, a range of project involvement from master planning to the delivery and completion of projects. 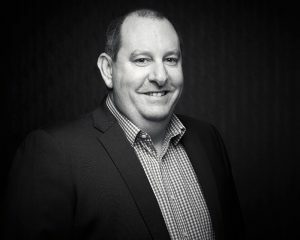 Scott has worked for Frasers Property since late 2010 working on various commercial and retail projects for the C&I/Retail division of the company. He has substantial industry experience across a broad range of sectors with substantial recent experience in the mixed-use and retail sectors, with his most recent project being The Ponds Shopping Centre in New South Wales.